Create harmony and gentle balance in every bathroom in your home with the ancient symbols portrayed in our yin yang bath decor. 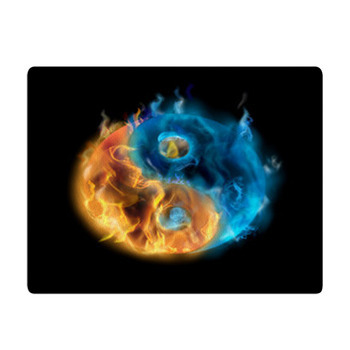 This Taoist and Buddhist symbol depicts the delicate but perfect balance that can be found everywhere in the natural world and in our lives. 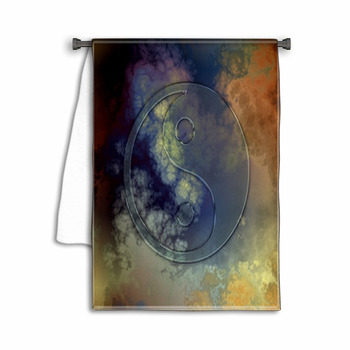 Bring the feeling of enlightenment with our custom printed bath mats, shower curtains and towels. Your bathroom is a place where you want peace, whether it is in the morning preparing for your day, or at night when you unwind from a hard day before bed. 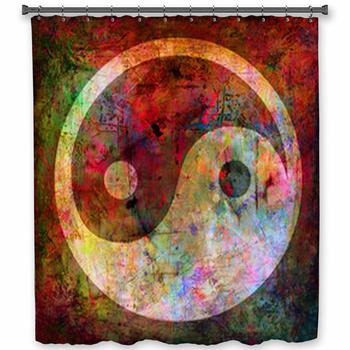 And a bathroom full of yin yang bath decor is the way to bring that peace to your home. 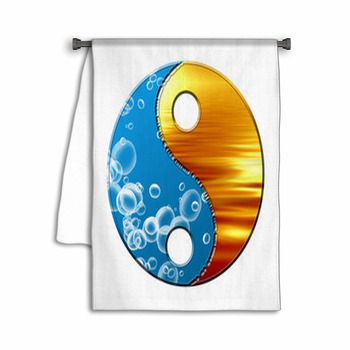 Promote a feeling of serenity and peace of mind for your morning bath routine by having a set of yin yang bath towels on the vanity. 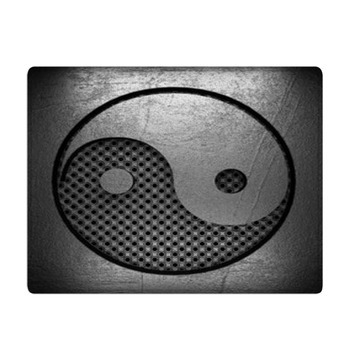 The black and white of the symbol create equilibrium that is important for us to feel right and at ease. By reminding yourself of this importance of balance in the mornings, you set your day off to a good start. 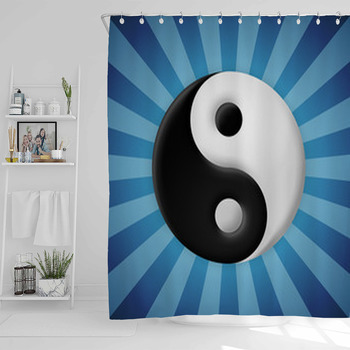 If your bathroom is a modern design, we love displaying the yin yang symbol on a design representing natural elements like sapphire blue water and a cloudy sky. 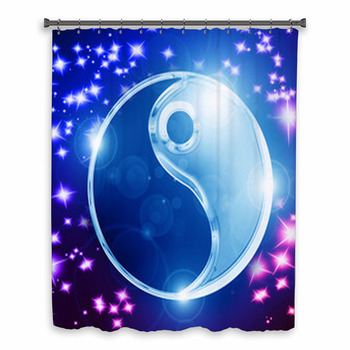 By hanging a yin yang shower curtain across your bathtub, you can be reminded of peace and harmony as you take a bubble bath at night. 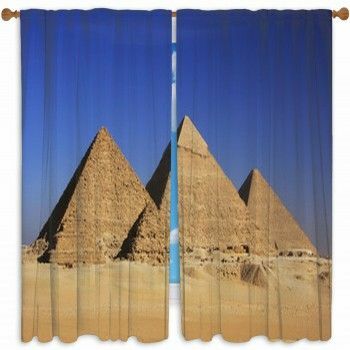 You can complement the shower curtain with other pieces from this category. A great piece that will help your bathroom adopt a calm and tranquil air is a soft plush bath mat with these ancient Chinese symbols. 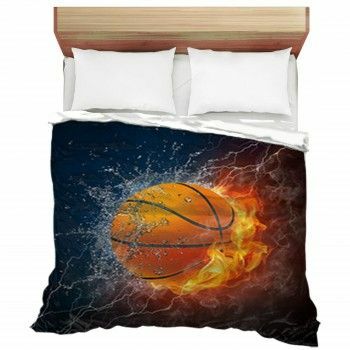 A final touch for the nighttime routine would be scented candles and a small fountain that brings the peaceful sound of rushing water to drown out the noise of the day. We also love the use of our yin yang bath decor items in the guest bath. It's always a pleasure to get complements from your guest about how much they enjoyed their stay at your home. If they leave feeling refreshed, they will be grateful to you for their stay. 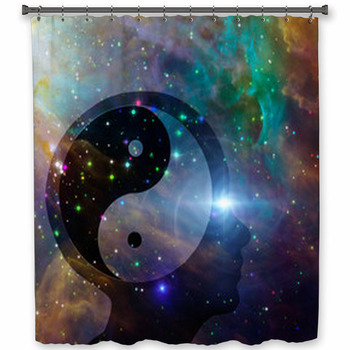 A bathroom decorated with a yin yang theme enhances a balanced mood and reduces stress. 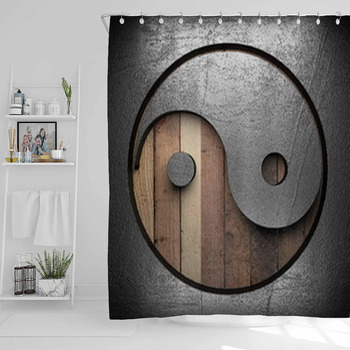 Our favorite design for a guest bath is a shower curtain with the yin yang symbol where the dark side is the blackness of night with a silver moon and the light side is perfect daylight with a golden sun. You can complement this design with a plush bath mat with designs of bamboo trees, or simply by painting the walls a serene blue color.